Personalizing the consumer experience with the collection and analysis of consumer data is widely recognized as one of the biggest business opportunities of the 21st century. But what if we were able to use data about employees to personalize and customize their experience –– to increase engagement, help them learn faster and figure out which teams they should be on? 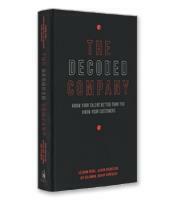 In The Decoded Company, the authors outline the six principles they’ve used to decode work and unlock the maximum potential of their talent, and share success stories from other organizations that have embraced this approach. To personalize processes to the individual based on experience and offering training interventions precisely at the teachable moment. 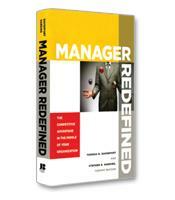 To codify organizational battle scars using actual code that watches your blind spots and gives your people a decision-making superpower. To prevail over hierarchies, reducing bureaucracy, increasing transparency and being wildly inspiring to teams.